Brakes are one of the most important pieces on your vehicle when it comes to keeping you safe. That’s why it is important to keep them in optimal condition. When can you tell that you need to replace your brakes? Well, one of the visual ways to check is to just take a look at the brake pads themselves and make sure that they look thicker than ¼ of an inch. The main auditory indication that you need to get your brakes checked is if you hear a high pitched or a grinding sound coming from your brakes when you are slowing down. The high pitched squeal is a built-in feature of brake pads to let you know that they need to be changed. If your brakes start giving off the grinding sound, then you are most likely doing physical damage to your brakes or rotor. So, take the warning of the high pitched squeal and act upon it quickly, or you will pay the price in the long run. How Long Can You Go Before Replacing Your Brakes? When it comes to the amount of time between each brake replacement, there is quite a bit of variance. The general average for how long it takes to wear out your brakes is 50,000 miles. This, however, can go up and down depending on how you drive. If you drive your vehicle like you stole it, then your brakes can wear out after only 25,000 miles. Ouch! Being less harsh on your brakes, though, can make them last up to 70,000 miles! So treat your brakes right and don’t bash on them too harshly. Consult your vehicle’s owner’s manual to get an idea of how long the brake pads will last on your vehicle as it does vary slightly between vehicles. How Can Having New Brakes Help? Getting your brakes changed is absolutely vital, and when you get them changed, you will notice a difference in the handling of your vehicle. You will be able to stop faster, stop more smoothly, and be able to hear the person next to you because there is no high pitched or grinding sound coming from your brakes every time you press them. All in all, it is very important to keep an eye on your brakes to keep you and your passengers safe on the road. 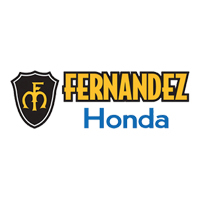 We want you to stay safe on the road, and that’s why at Fernandez Honda in San Antonio, TX, we provide quick, professional help in replacing your brake pads when they need to be changed. If you want to get them checked out, come on down to our service center at 8015 IH 35 S., San Antonio, TX 78224. Make sure before you come to check out our service specials to save some cash on your brake pad replacement. Give us a call at (210) 928-1500 with any questions! Schedule your brake service online now!